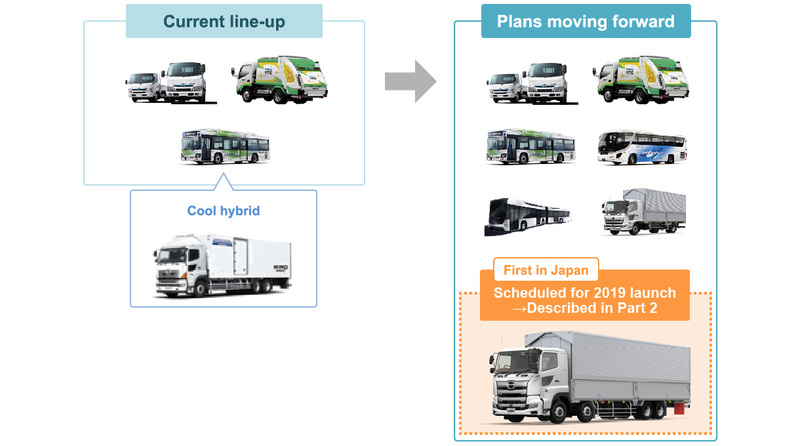 Hino Motors will continue to improve on existing technologies, with the aim of achieving to "reduce new vehicle CO₂ emissions while driving by 90%". 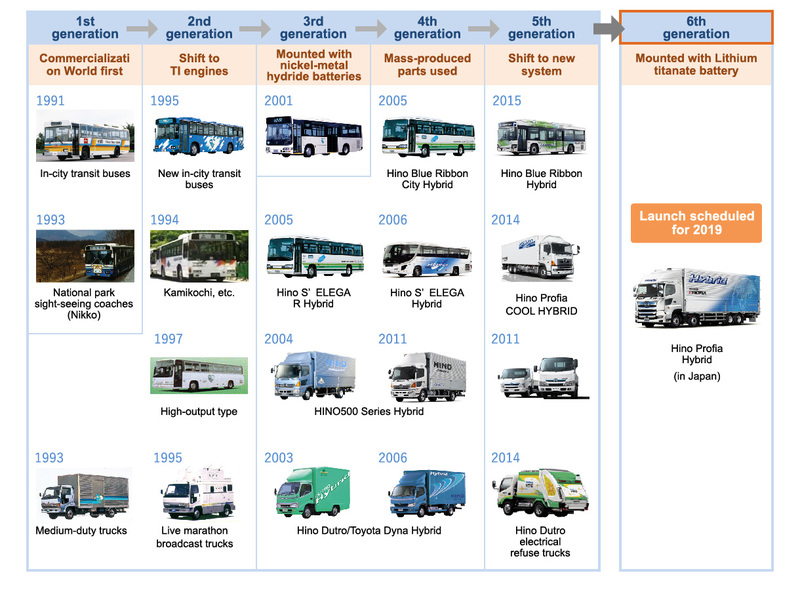 To further enhancement for improvement environmental performance, Hino aims to improve engine combustion efficiency and reduce losses, thereby reducing fuel consumption and improving post-treatment performance (exhaust gas purification, etc.). In further pursuit of hybrid technology.We aim to launch new-generation hybrid vehicles, expand our line-up of models, and expand overseas. We will continue to expand to other of models widely. 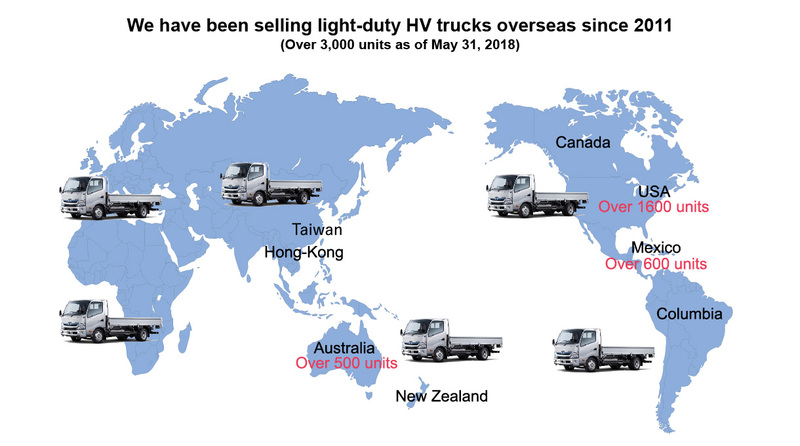 Currently, our global shipments comprise over 3000 vehicles worldwide, mainly in the US and Australia. We will continue to actively expand overseas in the future.